Die sind so lecker! Wahnsinn. Wie ihr wisst, bin ich nicht gerade die beste Bäckerin, doch diese Matcha Chocolate Chip Cookies sind mir - abgesehen davon, dass ich sie 2 Minuten zu lang im Ofen gelassen hab (eh klar) - gelungen. Ich wollte glutenfreie Cookies auf Kokosbasis machen. Und ohne dem Matcha wären sie nur halb so lecker. Ich hab richtig viel Matcha verwendet, weil ich total auf den Geschmack steh. Ihr könnt natürlich auch weniger Matcha nehmen :) Ach ja, high quality Matcha schmeckt nicht bitter. Nehmt den und ihr seid auf der sicheren Seite. These are SO good. No joke. 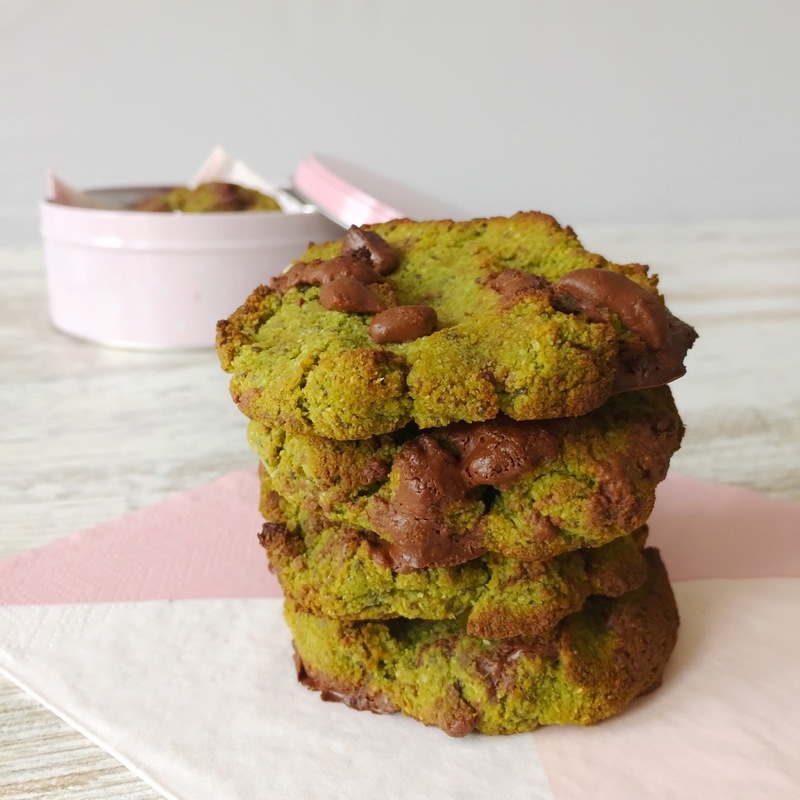 And yes they are green (and a bit burned argh) but however, they taste delicious coconutty with a matcha flavor. I used a lot matcha for the recipe. Like really, A LOT. Because I love matcha. I know that matcha is not for everyone, so of course, you can use less. It is up to you. And if you use high quality matcha then it doesn't taste bitter! 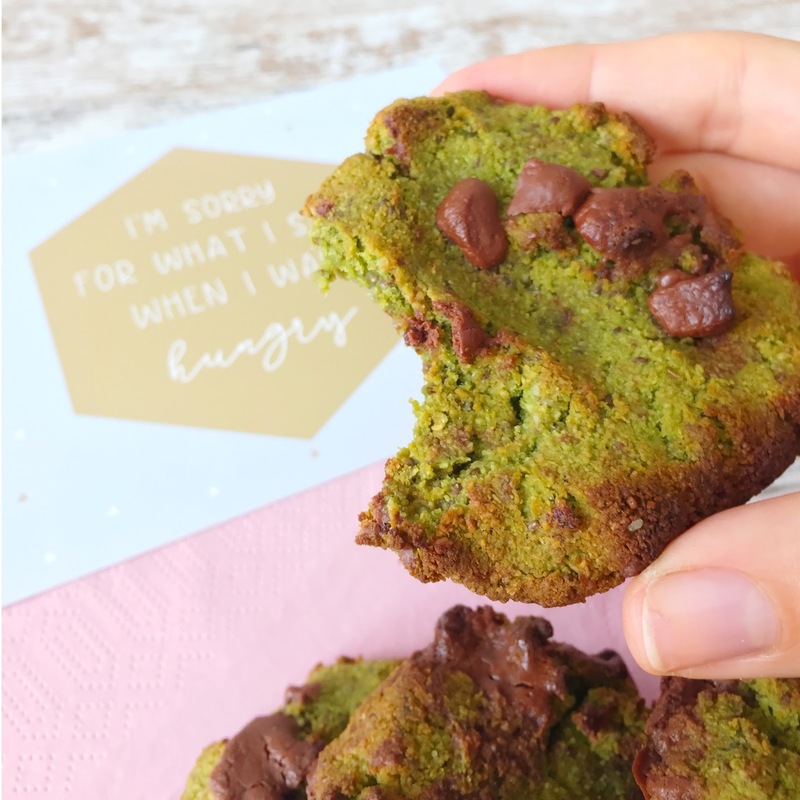 So use that one and you got the smooth matcha taste ;) These cookies are coconut based and gluten free. Melt the coconut oil. Mix all ingredients until vicious and a bit sticky. The dough shouldn't be too smooth! Stir in 2/3 of the chopped chocolate. Line a cookie sheet with parchment paper and form cookies by placing scoops of dough on the baking sheet. Press down slightly with your fingers as the cookies won't spread much. Top them with the rest of the chocolate. 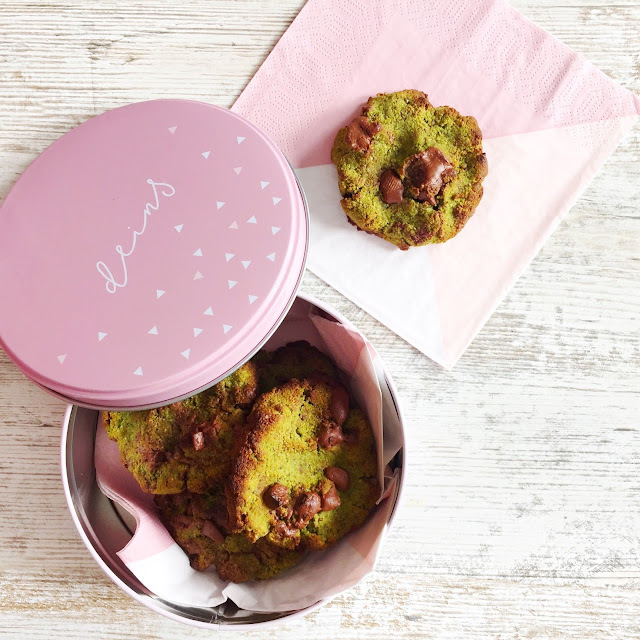 Bake for about 10-12 minutes in the preheated oven at 180 degrees C. Let the cookies completely cool down before you remove them from the pan. And voila!